A newly published study from Yale University suggests that genetics play an important role in whether a person responds to tobacco-control policies, finding that people who are genetically predisposed to tobacco addiction were not dissuaded from smoking despite concerted government efforts to curtail tobacco use. Despite concerted government efforts to curtail tobacco use, the number of smokers in the United States has remained stable in recent years, rather than declining. The reason: genetics. 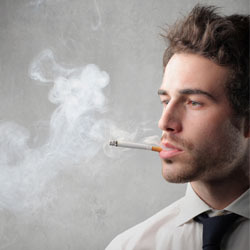 Be the first to comment on "Study Shows that Genetics Play an Important Role in Anti-Tobacco Policies"